Classic freestanding bathtub design with a pedestal base. 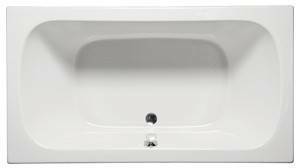 The boxy shape of the Locklyn bathtub make this a perfect soaking tub for the modern bath. 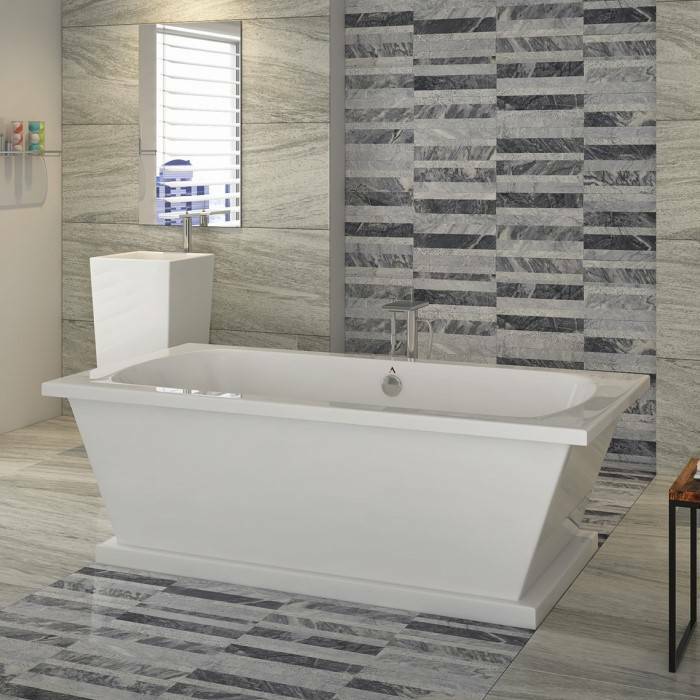 The squareness of the tub is softened with the oval shaped bathing area. The Locklyn has a center drain and two backrests. This gives the option of two bathers lounging face-to-face. Choose one of Americh's 6 colors or they will create the tub in two colors. Acrylic construction provides a non-porous surface for easy cleaning and sanitizing. And, the acrylic will never fade or lose its brilliance over time.